Metering Pump is designed by our talented professionals by using latest technology. Our range of metering pump includes various metering pumps such as reciprocating metering pump and chemical metering pump. Metering Pump is known for its less maintenance, high performance, easy installation and longer service life. It is designed and developed by using latest technology and advance machines. Furthermore, our company is involved in providing metering pump for various sugar, oil and paper industries. Caustic metering system is extensively used for measuring the amount of sodium hydroxide in a compound. It is designed by our professionals by using advance technology to meet the client's and application needs. This caustic metering system precisely adds the caustic soda into water which raises the pH of it. As caustic soda can crystallize and cause problem in using check valves. 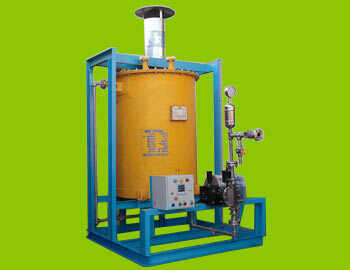 This caustic metering system is widely demanded in different water treatment plants.